Loyola Marymount University is a Los Angeles-based private university that serves 9,295 undergraduate and graduate students. The student body is comprised of approximately 1,500 freshman, all of whom are given access to LMU’s housing portal upon admission. LMU uses this portal as a recruiting tool to persuade accepted students to commit to attending. After students have accepted, the portal is used as a move-in guide to help students prepare to come to LMU. With 94% of first year students choosing to live on-campus their freshman year, it is an integral tool in students’ LMU experience. Not only were students reporting difficulty navigating the previous site and accessing information, but the website was not responsive across devices—a big problem for an incoming freshman class of mobile-centric millennials. 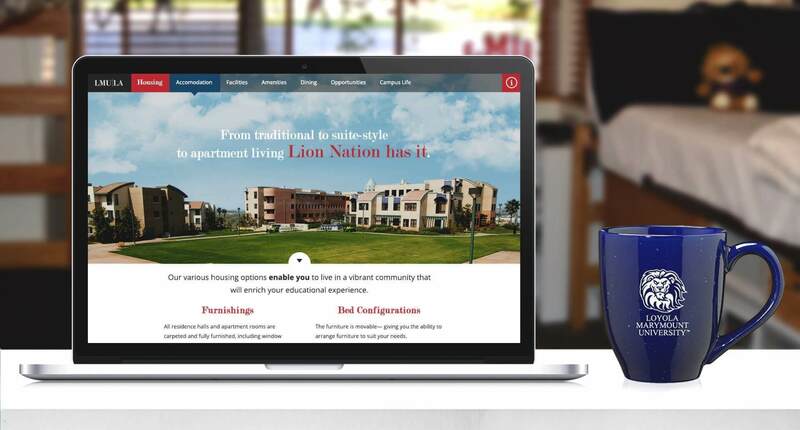 With its campus in the heart of Los Angeles’ tech haven, LMU needed to bring their outdated online housing portal to the technological forefront. Brand Knew was tasked with reimagining what this three-pronged experience would look like from both a web portal perspective and through email communication. Brand Knew redesigned the website in both form and function. The portal was neatly organized into three clear, separate segments. The first section provides information to prospective students who are interested in LMU but have not yet applied. The second is devoted to students who have been accepted to LMU but have yet to make a final college decision. After deciding to attend LMU, students use the third section to look for housing and access important move-in information. 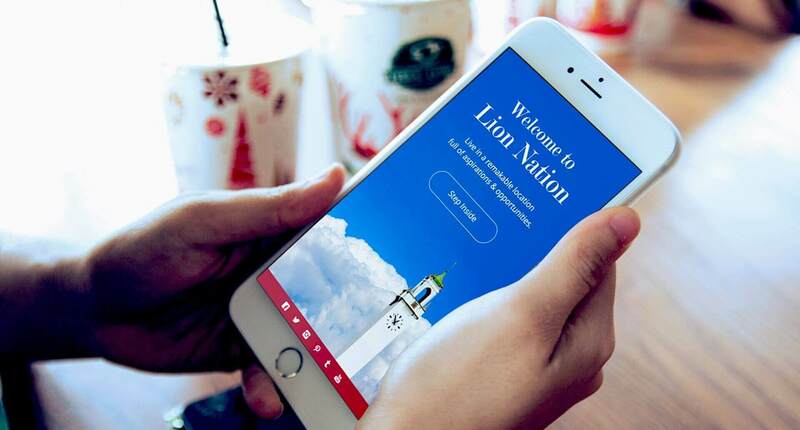 In addition to redesigning the web portal, Brand Knew also redesigned LMU’s email communication strategy to students during these three stages. Our team created a clean, image-based design, intended to make readers want to click to learn more, resulting in increased traffic to the site. We also redesigned the very first touchpoint that accepted students receive— an old-school ‘snail mail’ mailer. LMU Housing is now the most trafficked student portal on the LMU website by a significant margin. With its updated housing portal, LMU is able to dynamically and seamlessly shift between each of the three different phases. As a result, the university is now empowered and able to dynamically update and control this new three-tiered system for years to come.